One of our principle beliefs at BEDF is that opportunities for academic and character development must exist beyond the boundaries of school hours. With this ethos, BEDF facilitates access to a variety of specially-tailored learning initiatives that tap into opportunities for student’s personal growth and expansion of their wide-spanning knowledge base and skillset. Likewise, BEDF’s portfolio includes critical leadership and professional development programs for teachers and school leaders along with engagement and learning programs for families. The Boston K1DS three-year demonstration project expanded the successful BPS preschool model in 14 community-based programs. 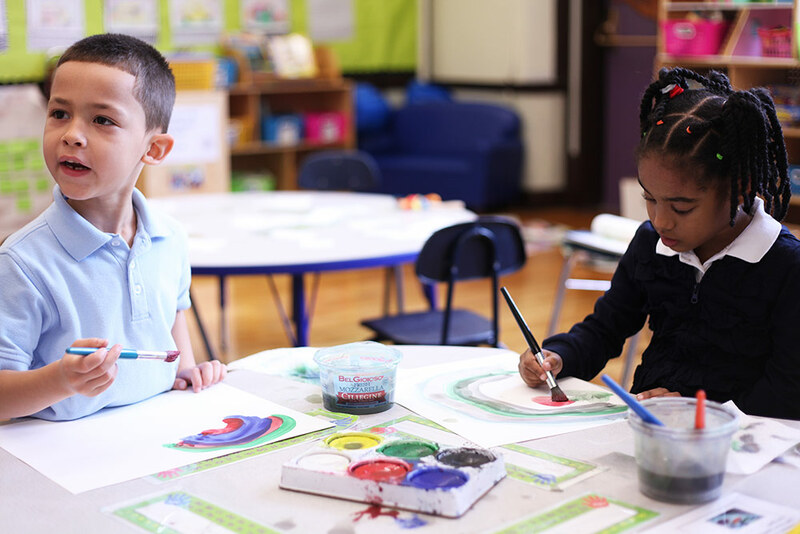 This partnership between BPS, Thrive in 5, and community-based organizations built a high quality, private and city-funded network of early childhood pre-K classrooms to expand access for families, close the achievement gap and improve the academic outcomes for Boston children living in the Circle of Promise and East Boston. Boston K1DS now serves as a model for the federal Preschool Expansion Grant (PEG) across the Commonwealth of Massachusetts. Many of the Boston K1DS programs are now PEG programs. Learn more about Boston’s Preschool Expansion Grant. Available to BPS students ages 18-22 in Special Education, this community based vocational training program offers internships, externships, employment and postgraduate opportunities in the field of facility management, hospitality, customer service, business management and public works (recycling). Over the last 26 years, Wentworth has provided its unwavering commitment to over 4,000 students. Learn more at theWentworth Training Program website. This Program is offered to K1 through 6th grade students. It provides a quiet place for students to complete their homework, socialize with their peers, and participate in enrichment and extracurricular activities, such as yoga, piano and soccer, all within the safety and supervision of school staff. 135 students enrolled for the school year 2015-2016. Located at Charlestown High School, Diploma Plus is an in-house alternative option for students who are at least 16 years old and have not yet experienced academic success in high school. Its mission is to graduate students who can compete in academically and professionally rigorous environments beyond high school, regardless of their prior academic performance. The program emphasizes three core values for learners: lead social change, be self-aware and independent, and think and learn critically. This program engaged families in healthy living through fun, interactive events centered on healthy eating and physical activity. The program worked with 30 schools to offer family engagement events that highlight information and interactive activities on diverse health and wellness topics, while developing the capacity of their Wellness Council. 4,950 members of the Boston community have been directly impacted by this program and 415 BPS staff participated in these events. This past year, 201 middle grade students from 15 schools and 179 high school students from 10 schools qualified to the Citywide Fair. They submitted 263 projects: 152 were Junior Division (MS) and 111 were Senior Division (HS). Five projects joined the State Delegation to the International Science and Engineering Fair hosted last May in Phoenix, AZ. Learn more about the Science Fair at the BPS Science Fair web site. It provided free, high quality instrumental music lessons to over 450 students in six schools: Mozart, Ohrenberger, Bates, Conley, Beethoven and Philbrick. Third, fourth and fifth grade students are taught to play flute, clarinet, trumpet or violin by highly skilled professional instructors, during the school day. All students are encouraged to participate, and parental involvement is a key component of the program. Learn more at the Making Music Matters web site. Over 1526 students, 63 educators from 33 schools across BPS enthusiastically participated in this program. 372 projects were entered for final submissions which featured a combination of thought-provoking visuals and films on relationships, human rights, the environment, and other topics the youth artists feel passionate about. Learn more about the BPS Youth Voices project.